This course does NOT cover SEO (Search Engine Optimization) tactics for how to get a website to come up higher in search results. 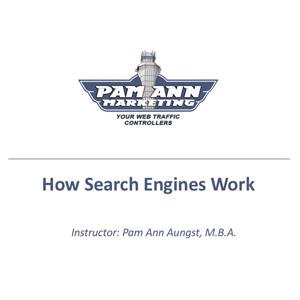 This course simply covers how search engine technology works. More courses are coming soon that will cover how to optimize a website to come up higher in search results. This course breaks down very complex technology and concepts into very easy-to-understand terms. The instructor also offers affordable private coaching sessions that can be taken advantage of on an as-needed basis for further assistance in understanding and implementing the concepts covered in the course.